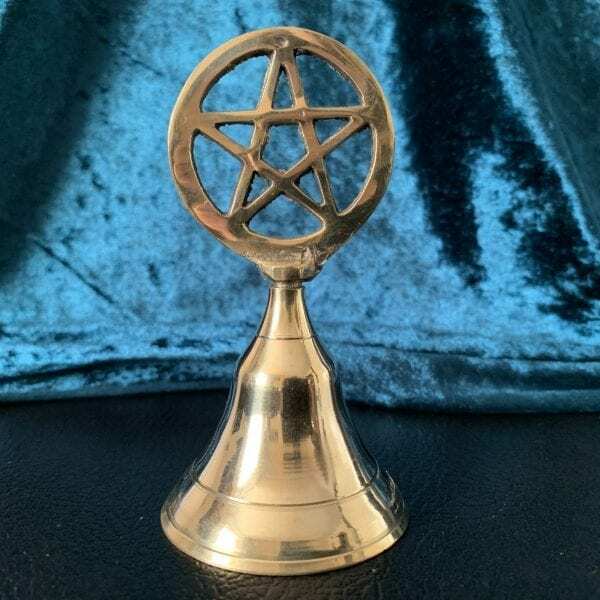 Ring this small pentacle bell around the home or magical space to dispel unwanted energy. 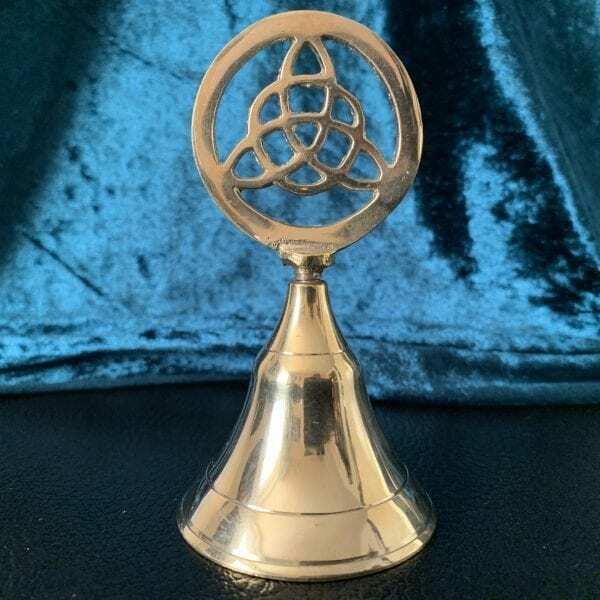 The ringing of a bell raises the vibrations and calls upon the higher frequency spirits to bring guidance and protection. The higher pitch rings attract Fae folk to the home! 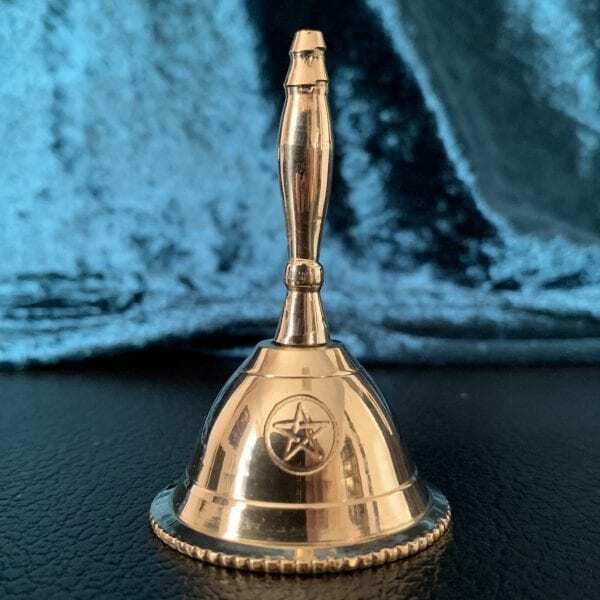 The enchanting spell of the bell invokes joy, happiness, dispels unwanted energy and strengthens the heart Charka.